I have been using these reports in my research for the past dozen years, and in that time the Treasury has never materially deviated from TBAC quarterly estimates. There can be no question that these reports are worked out jointly between the Treasury and TBAC. And because the committee always includes at least five representatives of primary dealers, it is in constant, direct communication with the Fed, as well. This raises a question: Just who is advising whom? There is no question that TBAC is an integral partner in the policy-making progress. The central idea of my research is that if we know how much Treasury supply is coming and how much the Fed is buying, then we know what we need to know about the direction of the financial markets over the short, mid, and long term. Every three months, TBAC gives us half of that equation in four-and-a-half-months advance. TBAC issued its latest quarterly report to the Secretary of the Treasury Steven Mnuchin on Aug. 2, 2017. I believe that this report is the most important one I've read over the past dozen years or so. It is even more important than the one in 2014, where TBAC recommended to the Obama administration that it raise a $500 billion rainy day fund. Normally, the Treasury's cash balance is in the $100 billion range. The Treasury followed that recommendation, and by October 2016, it had built up a fund of $440 billion. The Obama administration expected to turn that mountain of cash over to a Clinton administration. The new guys immediately spent it down. The economy had been in a slowdown before that. The surge of cash lit a fire under the stock market and gave the U.S. economy a little goose, as well. But now, the implications of TBAC's current analysis are frightening. The first half of the report is the usual economic review. It's old news. The problems start when TBAC gets into its forecast discussion. The forecast called for $501 billion in new borrowing in Q4 (that's U.S. fiscal Q1); $300 billion of that is discretionary. The government does not need to borrow that much, but TBAC is recommending that the Treasury rebuild its cash to the levels reached under the buildup of the rainy day fund. "For the first quarter of FY 2018, net marketable borrowing need is projected to be substantially higher at $501 billion, with a cash balance ramping up to $360 billion by the end of December." Before the idea of a massive rainy day fund became policy a couple of years ago, the Treasury's cash balance typically fluctuated between $50 billion and $150 billion. The government does not need to hold more cash than that under normal circumstances. Now, the Treasury and TBAC are in constant communication. It's unlikely that this recommendation to rebuild a massive cash hoard wasn't vetted and approved in advance. My take is that this is the plan, and they will follow it. The Treasury has always followed the TBAC blueprint in the past. I don't see why this should be any different. TBAC says that it expects the Fed to shrink its reserve balances to $650 billion. The Fed has only announced a proposed schedule. It has not announced a target for the size of the balance sheet. TBAC has apparently had discussions with the Fed on this, and they are sending us a heads-up. We had better pay attention. Currently, reserves on the Fed balance sheet are around $2.3 trillion. They would be $2.65 trillion if the Fed's reverse repo (RRP) holdings were included as reserves. They are not, however; RRPs are interchangeable with bank reserve deposits. Money shifts back and forth between RRPs and reserve deposits all the time. In view of that, TBAC's numbers imply total balance sheet reduction between $1.7 trillion and $2 trillion. The report also makes clear the timeline over which these reductions will take place. TBAC forecasts that the balance sheet will begin growing again in 2021. That implies that they expect the "normalization," a euphemism for "draining" or "tightening," to last from late 2017 through late 2020, a period of three years. The implied rate of reduction would be around $50 billion per month. That's exactly the amount that the Fed set as the target after the initial 12 months of tightening. The first 12 months would gradually ramp up from $20 billion per month to $50 billion. $30 billion of that would be Treasury securities, and the rest would be mortgage-backed securities (MBS) reductions. This schedule was attached to the last FOMC announcement. The only thing the Fed left out was when it would start. It will start after the September meeting. Of the $50 billion per month in Fed balance sheet reductions, $30 billion per month would be in the redemption of the Fed's Treasury securities. The government would need to raise the cash in the market to pay off that paper. "The presentation then turned to how Treasury should consider responding to increased funding needs. The highlight of the findings is that Treasury should consider increasing auction sizes across all tenors while gradually increasing T-bills as a share of overall debt…. …The higher borrowing needs are primarily driven by the federal deficit, so Treasury should carefully consider fiscal policies as it makes decisions about various debt management scenarios. Nevertheless, if the median primary dealer forecast is a good guide, a prudent and flexible approach would consider increasing coupon debt as soon as the November refunding and as late as the first quarter of 2018. In particular, the presentation recommended that Treasury consider a broader increase in issuance across tenors." This confirms what we have known for a long time: Treasury borrowing will increase materially as it becomes necessary to repay the Fed. The Fed's purchases of massive amounts of Treasury debt under quantitative easing (QE) were essentially open-ended loans. The loans would remain outstanding for as long as the Fed was willing to roll over the maturing paper. The Fed has now decided to demand repayment. The Treasury will need to go into the market to borrow the money to repay the Fed's loans to the U.S. government under QE. Selling additional supply into a market where the Fed is no longer the biggest buyer will be a new experiment in monetary policy – one that is fraught with risk. I don't expect it to go well. Making matters worse, TBAC expects massive growth in the government’s structural deficit. That will also need to be funded by borrowing. 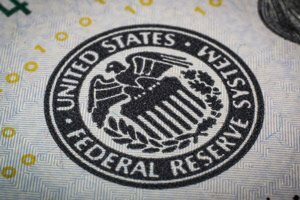 "In addition to the funding gap created by less reinvestment by the Fed, the amount of maturing debt that needs to be refinanced will rise in the coming years… If the median deficit forecast by the primary dealers is a good guide, Treasury's borrowing needs are likely to be substantially higher over the coming years. In the baseline estimates, borrowing needs will increase from $525 billion in calendar year 2017 to $1,010 billion in calendar year 2020, effectively a doubling. Assuming a gradual ramping up in T-bill's share of overall debt, offering amounts excluding T-bills will have to rise by $672 billion by calendar year 2020." It's all but impossible to see the market absorbing this much supply, absent the Fed's help, without massive disruption. Ergo, we can expect the Fed to reenter the market with QE at some point between 2018 and 2020. The problem is what happens before that. "The presentation concluded with a discussion of potential spillovers and risks from the normalization of the Fed’s balance sheet. The private sector piggy-backed on the Fed’s large-scale asset purchases, a move that promoted a surge in corporate borrowing and tighter risk spreads. In this environment, a tail risk stress scenario is that a small increase in yields could possibly lead to large changes in risk premiums. In an adverse scenario, there’s the possibility of a meaningful, but not systemically risky, decline in both credit and equities." I disagree that a decline in asset prices would "not be systemically risky." 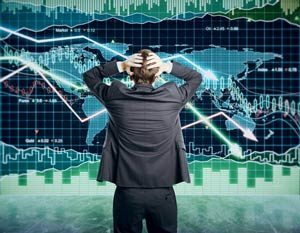 A worst-case scenario is a possibility – even a probability – given the massive bubble in asset prices. A "meaningful decline" could wipe out trillions in loan and mortgage collateral. It would be a disaster, possibly even larger than the last crisis. Trillions of dollars' worth of stocks and bonds have been bought on margin, with tremendous leverage in derivatives as well. It would not take much of a decline to trigger what could rapidly become an avalanche of selling. And let's not ignore the massive risk in the enormous inflation of commercial and residential real estate. Those markets are obviously also highly leveraged. A material decline in prices would put trillions of real estate investments back under water, and we'd be in another real estate crisis. With the government still owning Fannie and Freddie, U.S. taxpayers would be on the hook yet again. We simply cannot know for certain how bad things will get, or how fast they will get that way. We can't know how much damage the Fed will tolerate before stepping in to buy assets again. And we can't know if market participants will have enough confidence in the Fed to follow its lead in such an event. The risks are far greater than TBAC lets on in this letter. No doubt they have communicated that with Fed and Treasury officials. The Treasury will ramp up borrowing under the pressure of both the need to repay the Fed and the increase in the deficit. 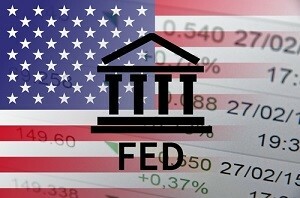 Without the Fed absorbing a substantial amount of new supply, dealers and other buyers in the market will be forced to divert cash away from other investments to absorb the new Treasury supply. As that takes hold, dealers and investors may be forced to liquidate other assets, particularly equities, to absorb new Treasury issuance. These are the conditions that would foment a bear market. I can't forecast its shape or severity, but these things tend to spiral out of control before the central banks intervene. This time should be no different. I'm not taking any chances; no one is more "in the know" than TBAC. I continue to stress, as I have in recent months, that it is important to reduce risk now, rather than wait for a serious downturn. This can be done by instituting a program of regular sales of a reasonable percentage of your investment portfolio. Cash will be king for many months to come. Bear markets usually last from two to two-and-a-half years. Start raising cash now if you haven't already. If you cannot sell, or don't want to, then selling covered calls would be an alternative strategy that could provide a protective cushion. Selective buying of puts as insurance could also be used by those experienced in trading options.